Last April, I asked several non-baseball “experts” to predict the post-season. To be one of my experts, the bar was set pretty high (or low depending upon which direction you’re looking). You simply needed to not know anything about baseball and not be a fan. When one of my experts complained that he didn’t understand why the NEW YORK Giants were in the NL West, and I had to explain that the New York Giants played football, which is an entirely different sport, I had just the crack team of unpaid, uncaring experts that would make my predictions perfect. When some of “my team” insisted that not only did they not know anything about baseball, but that they actively “hated” the sport, I knew I’d done well. As the regular season came to a close yesterday, I want to commend my team of experts, because, quite frankly, they were often spot-on better than the paid baseball “experts” on TV, and on blogs, and in Twitter-ville. Not to brag, but my guys are way better than your guys. Who had the Red Sox winning the AL East? Did you? Of course, you didn’t. Who had the Orioles in the Wild Card? 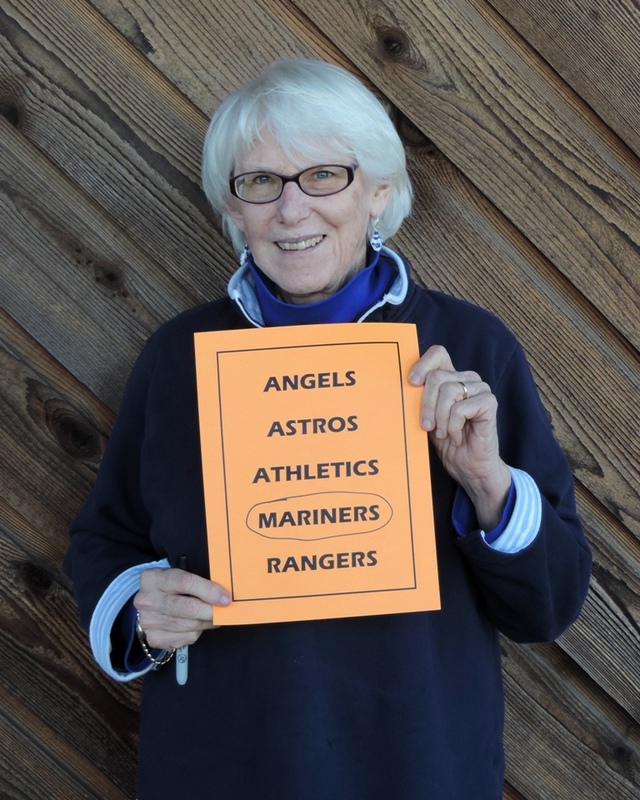 And, while my other American League expert picks were off, you have to say, in many cases, not by much. And, sure, my National League experts could use some seasoning. 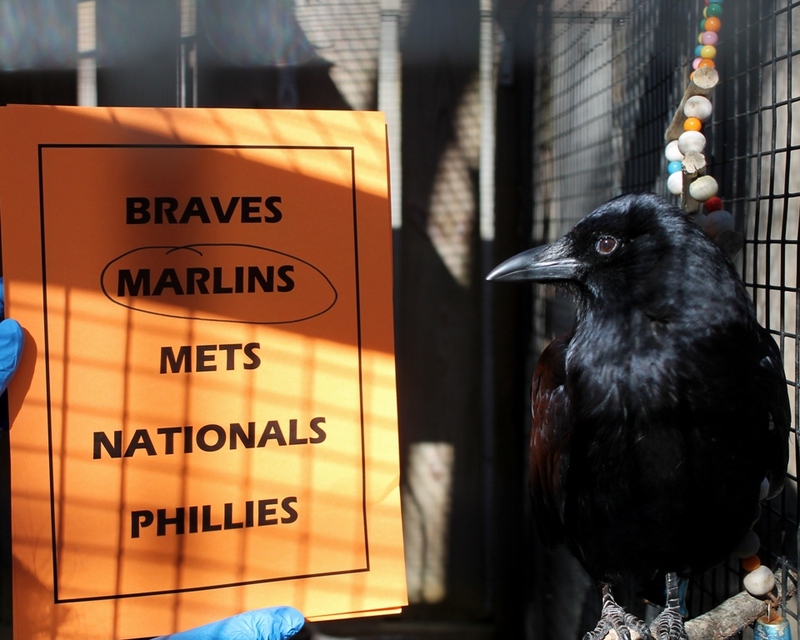 Jaz, who is a crow, picked the Marlins, who ultimately finished 3rd in the NL East. And, maybe my National League human experts went with the Reds, Rockies, and Braves, three of the worst teams this season, because they just didn’t want to show up the crow. 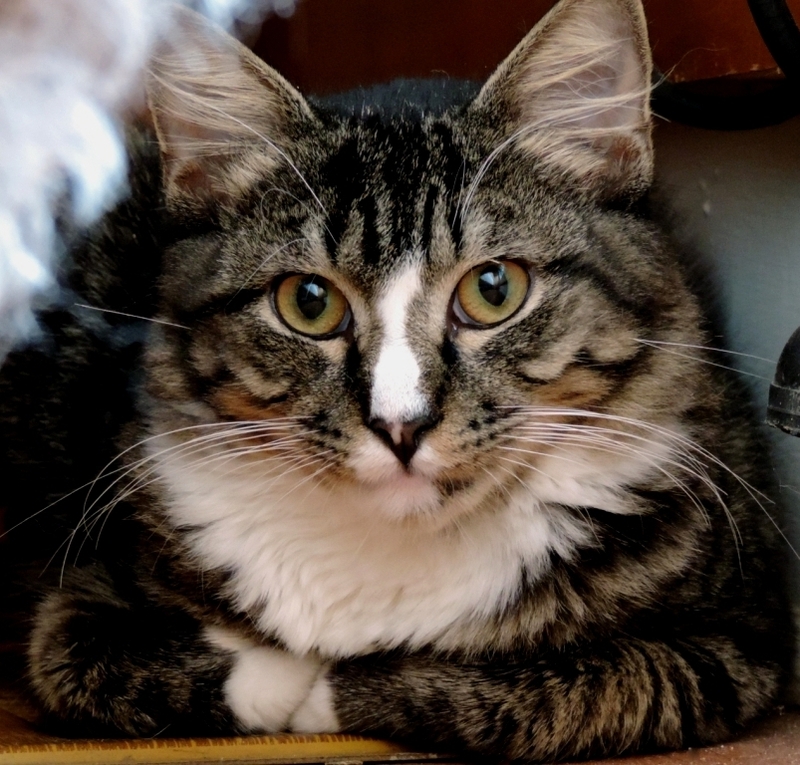 And, sure, my cat (my cat!) ultimately picked the Rockies to beat the Orioles in the Series. But, we always knew that wouldn’t happen. Not because of the Rockies (who ultimately finished 16 games back in the NL West). But, because, we always knew … this is our year. Right, Birdland? Anyway, the post-season begins tomorrow. As I told my team of experts last April, if the team you chose wins the World Series there will be cookies baked in your honor. C’mon Lindsey, you’re my expert and I’m rooting for you. Let’s Go Orioles! This entry was posted in Baltimore Orioles, Baseball and tagged Baltimore Orioles, Boston Red Sox, Post-Season, Predictions by Jackie, The Baseball Bloggess. Bookmark the permalink. I’m still planning on the All Orange and Black Event and hope you are too. May your Orioles stay alive long enough to lose to my Dodgers in the Series. It’s the 50-year miracle! (Full disclosure: I turned off the Orioles “we just squeaked into the post-season” celebration yesterday so that I could listen to Vin call the rest of the Dodgers-Giants game. I’m no fool. I know where history was being made.) Congrats to your Dodgers, too! This is going to be a fun post-season … well, once we get rid of the Blue Jays. Hardly as long-term as your experts, On Labor Day, I picked the Cubs over the Rangers in the World Series, though Texas has home field. Granted, they ended with best league records. I’d like the Orioles to silence the Blue Jays. The Giants and Mets may go extra innings. Texas will need seven games to top Boston in the ALCS; the Cubs will best the Nats in five, may be six. As for the Yankees, “I’ve seen the lights go out on Broadway.” As for the Twins, I knew they’d go downhill after trading Nunez, but a franchise-record 103 losses is too much of a drop. 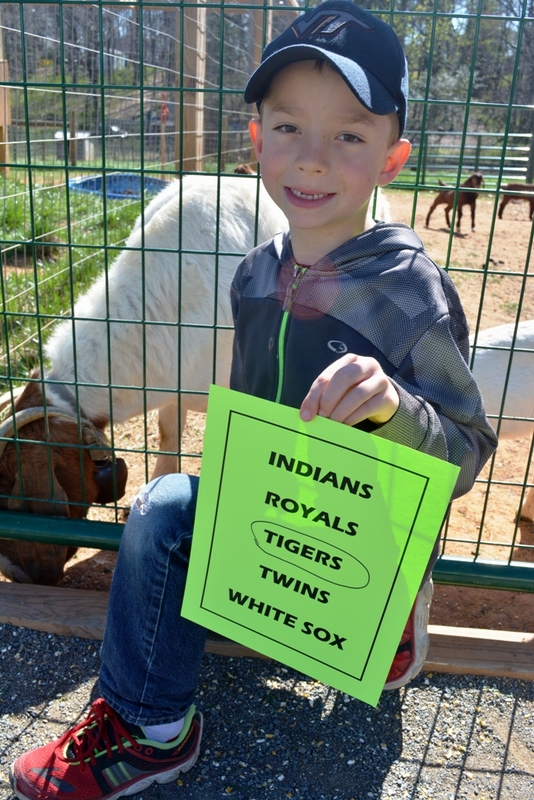 Not quite the World Series I’m envisioning … but, it’s definitely looking like a fun October! Lindsey was sweet, but maybe just a year early. Or perhaps even pessimistic regarding next year, as the Braves were 12-2 over their last 14 games, including 2 wins in their last three games against the Tigers that helped shut the door to the playoffs for that team (including a 1-0 pitchers’ masterpiece in which Julio Tehran with his 12 strikeouts narrowly edged Justin Verlander in a game where the only run scored a sacrifice fly in the first inning). Thanks for a great and whimsical blog today. Good luck to the Orioles! Thanks, Michael! I really enjoyed watching the Braves get strong down the stretch. 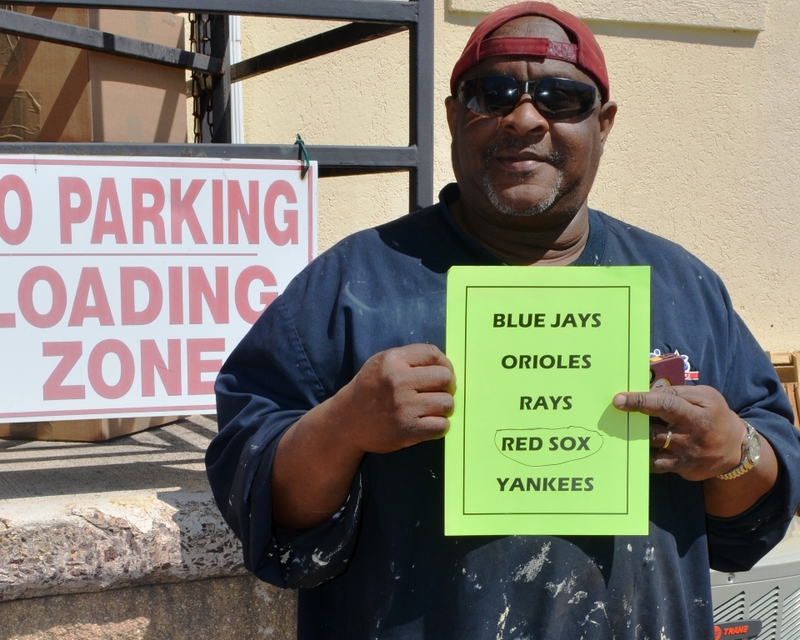 (And, thank you for putting away the Tigers for the Orioles!) Plus, your pitching staff seems to have gotten Jim Johnson straightened out, and, as an O’s fan, I always knew he had a little more in him, he just needed to find the right team. Congrats. I hope your O’s go all the way and play the Dodgers in the Series. I’m all smiles for you today. I have a feeling your O’s slump is over and good times are coming! Hang in there. I can’t let this slide by without a comment on my Rockies. 3rd place – not too shabby after basement dwelling much of the last few years. Also some nice awards for our top players (HRs, and batting), so our year was much improved and a building block. However, we lost our manager that built this yesterday. Think our off season will be a busy one – let’s hope a good one. Personally I want a Cubs vs Orioles final, but I rarely get what I want! Congratulations to the Orioles on a fine season! Thanks, Sharon. I was disappointed that D.J. LeMahieu sat out the last games of the season just to ensure he won the batting title. That always seems a little cheat-y to me, although it’s a tradition that a lot of them have done. Here’s hoping everyone also gets a good rest during the off-season!